Jimmi The Plumber is available any time to provide emergency gas piping service or re-piping service. If your house has a gas leak, fast service is of the essence. Natural gas is deadly if inhaled. In addition, electronic devices in your house can create sparks that ignite the gas, which could cause your house to explode. Natural gas has a compound added to it called t-butyl mercaptan, which gives it a foul smell similar to rotting vegetables. If you detect such an odor, get out of your house immediately... then call (847) 584-3493! When most people think of plumbing, they think of toilets, sinks, and other running water systems. But did you know that plumbers also work on heating systems? At Jimmi The Plumber, we install, repair and maintain gas pipes to keep your house warm while providing heat to your oven, stove or water heater. Since 1989, we’ve been providing insured and licensed gas piping service. If your pipes aren’t installed or maintained properly, they could be wasting money. You could be running up your gas bill without even realizing it! 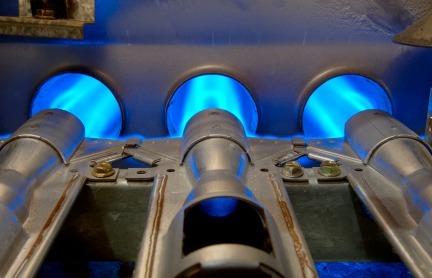 If you feel your gas bill is too high, call us for a free consultation. The gas professionals at Jimmi The Plumber will be able to spot opportunities to help you save on gas. If you have a gas leak, fast service can mean the difference between life and death. If you have emergency gas piping needs, please call Jimmi The Plumber as soon as possible.